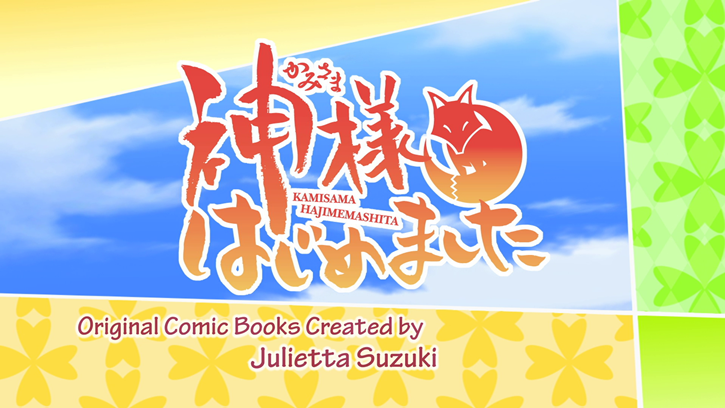 Kamisama Kiss is the latest anime directed by Akitaro Daichi (Fruits Basket, Now and Then, Here and There). The production of the anime started in 2012 and it was produced by TMS Entertainment as an adaptation of the manga series written by Julietta Suzuki and released throughout North America by VIZ. The anime adaptation has been dubbed and released by Funimation Entertainment. The complete series runs only 13 episodes (though two OVA's were also created and are not found on the set) and it doesn't cover the entire span of the original manga. For a dedicated anime fan (in any capacity), it's easy to see that there are many Shonen and Shojo anime productions that are not original. The rare gems and classic series are far from the norm within the world of anime as there is so much duplication of ideas with many a series simply joining a long-list of anime that resemble something that came before. This prevents several possibly intriguing stories from ever feeling that original. The best bet then is that a artistic design, implementation, and style will unfold with a solid set of characters that will keep things interesting. Unfortunately, there are a number of productions which are reasonably good but seem to float down an average quality stream without enough standing distinctively aside so that viewers can have a genuinely unique and worthwhile experience. Kamisama Kiss joins this crowd of productions. 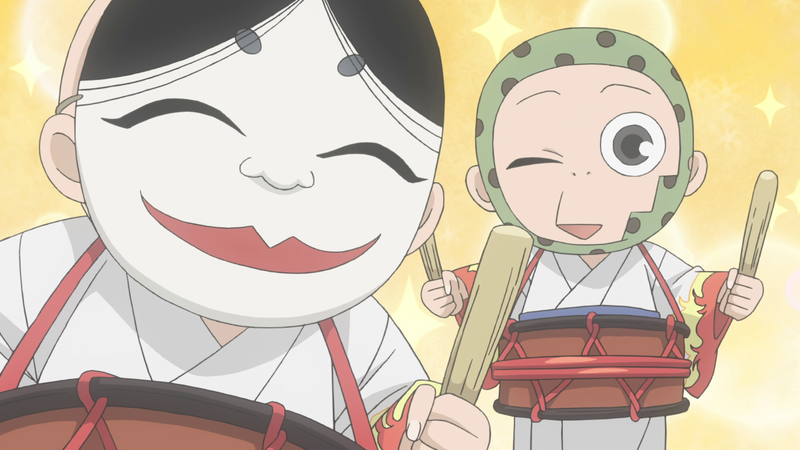 It's a enjoyable truffle of an anime series with decent entertainment and a sweet natured tone that carries it through a lot of good moments. Yet the basic design of it isn't original. It's your typical Shojo anime where a unexpected circumstance throws the lead into a surprising environment where they also receive a special gift or ability, and find themselves in a situation that leads to a slow-burning romance with a cold-shoulder male lead. Having seen similarly designed anime series many times before it's a bit unfortunate to find yet another anime series is joining this group. The 13 episode story begins when Nanami (voiced by Tia Ballard in the English dub) becomes homeless at the start of the first episode because her father ran out due to gambling debts. 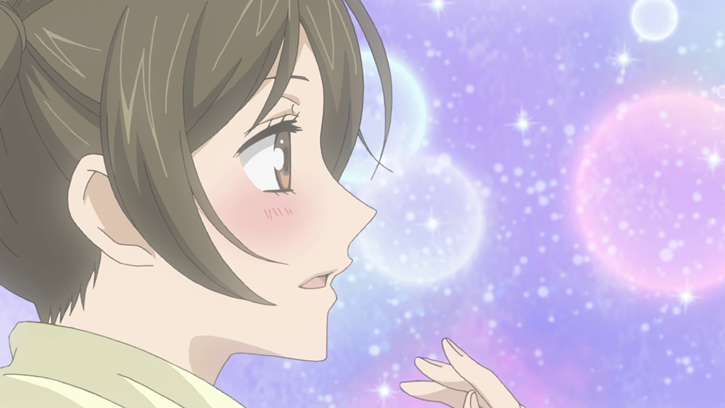 Yet minutes later she is meeting a mysterious stranger who gives her a kiss on the forehead, who informs her that she can live at his house, and gives her instructions on where to go. She's quickly one to discover that she has been given the gift of being a land god who can give blessings and aid to people who come to pray at the temple. She meets two bumbling if pleasantly mannered assistants at the temple and a fox-god named Tomoe who is also a individual working for the shrine's survival but who is upset as the former land god abandoned the temple many years ago (this being the stranger Nanami met, whose name is Mikage). 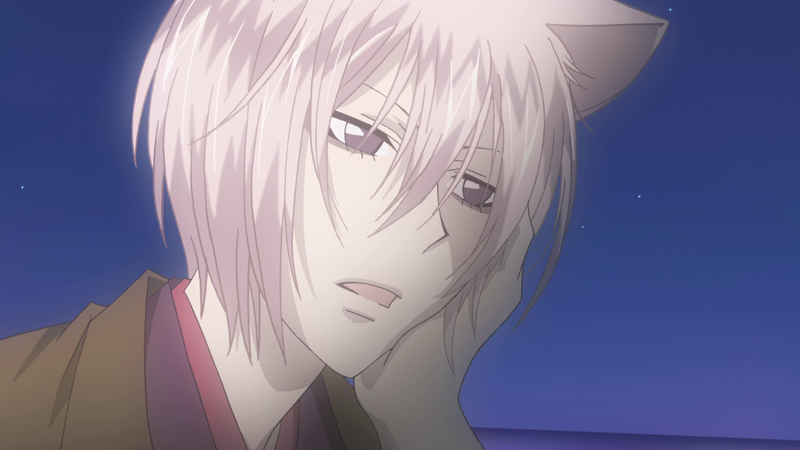 Kamisama Kiss is well produced. 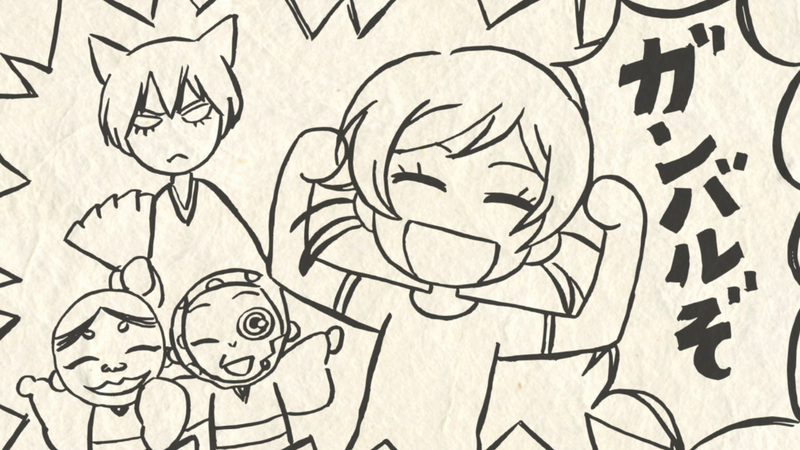 The animation style is clean, impressive, and stylistically polished. The character designs are not the most distinctive thing about the show but they are pleasantly realized nonetheless. 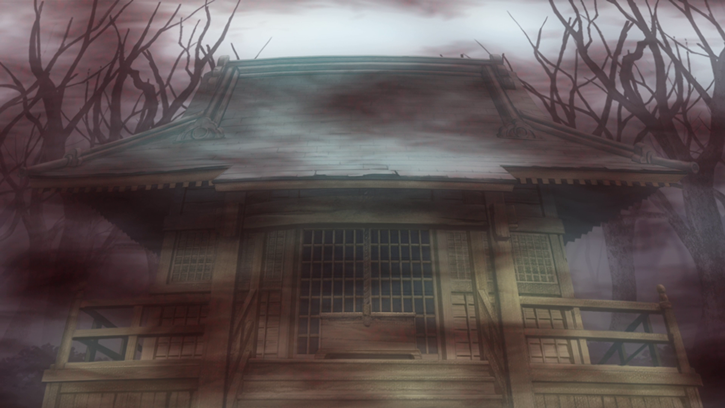 The background art and details are pretty strong (if not show-stopping). I essentially found many elements of the series to be finely produced if not too far beyond what realm exists for decently made anime series. This one is a notch above average. I liked the art style. The music is quite good. The direction is often laid back and interesting enough to keep things flowing on the show. All things told, the series excels in more ways than it disappoints. Unfortunately, it's the storytelling itself and the bland characterizations which cause the series from truly excelling as something entirely notable and worth checking out. Instead, I would be genuinely surprised if most anime fans (outside of serious fans of most shojo anime productions) consider this series to be essential. This isn't a badly made series. It's a light and fluffy anime show that is enjoyable in parts. The series just lacks a distinctive voice and it's a somewhat bland creation with characters who feel more like anime archetypes than anything remotely interesting emotionally. With better storytelling, the series would have been much better. Alas, Kamisama Kiss does not live up to its potential and will be best enjoyed by any viewers who can tune out the underwhelming critical qualities of the series and enjoy in its decidedly light and pleasant tone. 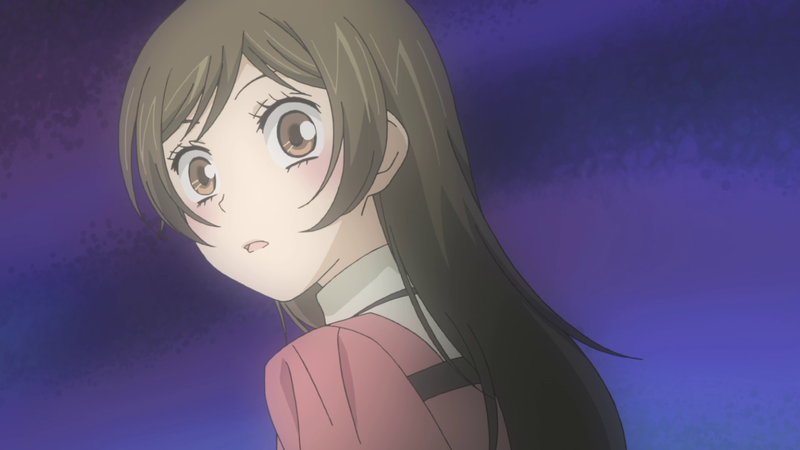 Kamisama Kiss is presented across two Blu-ray discs in this Blu-ray/DVD combo pack release. The transfers retain the original 1.78:1 aspect ratio from broadcast. While this is a native 1080p High Definition release and is not another upscaled presentation, the picture quality could be better than what Funimation presents. The bit-rates are uniformly unimpressive with many moments teetering around 11 mbps or so, and the series somewhat frequently dips to around 8 or 9 mbps, which is no better than DVD encoding (on a high quality DVD release). The image is clearly actual High Definition and it has a smooth, clean quality that is impressive. Yet there is also something lacking in the amount of detail and crispness which could have been achieved with better compression methods and a few more Blu-ray discs. For the record, I'd be entirely happy to ditch the DVD edition in favor of a higher quality Blu-ray presentation. Unfortunately, the compression methods utilized do not even seem to be entirely because the capacity on the first disc is limited with so many episodes (the first 10 being on disc one in the set), because the encoding is similar on the second disc too (which only contains three episodes). Funimation should at least consider changing their compression methods and splitting the episodes more evenly between discs. To make things even better I suggest to the studio to consider adding a third disc to similar releases and allow some more breathing room for the transfers. As it stands, this is a decent if unremarkable presentation. The last episode on the set (Episode 13) only had the first two seconds of the opening successfully play before the episode began. I checked and it seemed to be an encoding error. Regardless of whether or not I picked the episode individually or under 'play all' there was a error in playback (and the run-time seemed to remain unchanged so it literally seems as if the opening is essentially missing from the final episode). Funimation should offer a replacement disc to anyone bothered by this encode issue. If a replacement disc program is made available this review will be updated to reflect that information. The English language dub is presented with 5.1 Dolby TrueHD surround sound. The addition of surround sound is appreciable in this decent quality surround sound mix that occasionally has interesting sound effects utilized. The 2.0 Dolby TrueHD Japanese language dub is equally as clean, crisp, and well-defined but lacks some of the more immersive qualities of a surround mix. Both dubs seemed to be of good quality. I was quite impressed by the English dubbing (it was a high quality dub in all respects). Regardless of which language dub option is picked, the series is presented with a decent lossless audio mix that gets the job done. The only extras on this set are two superfluous commentaries from some of the English dub cast during the first and last episodes of the series (where they make jokes and talk about the series without any degree of seriousness at all), a special 'video commentary' (which is slightly more amusing if also unnecessary), textless opening/ending credits (songs), and trailers promoting other Funimation releases. The release is packaged in a five disc Blu-ray case with 2 Blu-ray's and 3 DVD's. The release includes an o-card slipcover. 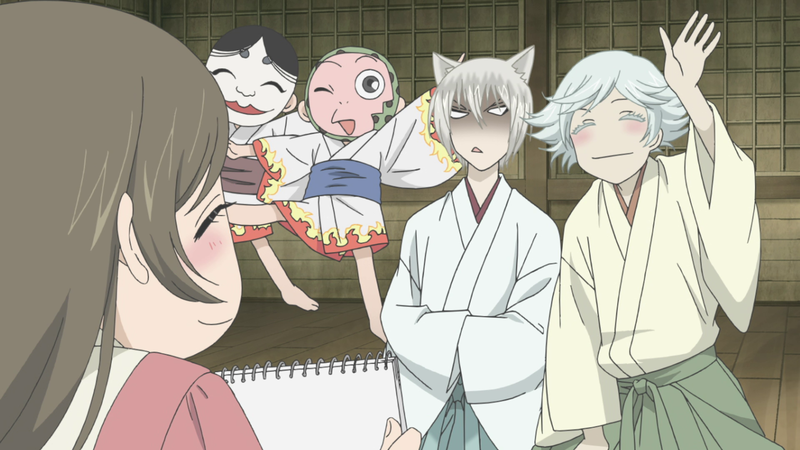 Kamisama Kiss is a decidedly average Shojo anime with some comedic moments and some beautiful animation but a less than stellar plot and an aura of poor characterization. It feels unoriginal and generic even when it is being a tad entertaining. I suggest most anime fans consider renting it first. Decide from there if it is worth purchasing. It's a decently entertaining, lighthearted, and occasionally fun show but I felt it did not live up to its potential.